Thoth: -Hello Earth dwellers. I’m Thoth, the commander of this spaceship. Mary: -What a surprise: you speak our language. What planet do you come from? Thoth: -There are four seats for the crew and space for half a million corpses. Thoth: -We love them. My favourite dish is Earth dwellers with a sweet and sour sauce. Mary: -How do you plan to get those corpses? Thoth: -By inviting people to visit our spaceship. Would you like to see its interior and marvel with our advanced technology? Jacob: -No, thank you. Are those symbols on your spaceship a kind of script? Thoth: -Yes, it is the name of our spaceship. It says, Final Judgement. It was Zeus’ idea. Toth: -We Worth dwellers like to eat Earth dwellers! Jacob: -Yes, but science is not something you believe in. It is about natural laws that have been proved to be right. Toth: -No, it is not. It is about natural laws that you believe that have been proved to be right. For us, what matters is wisdom and that is processing information right. Have you heard about Charles Darwin? Jacob: -Of course I have. Toth: -He demonstrated that all creatures on planet Earth have a common ancestor. 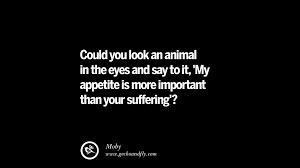 So why do you eat other creatures? Toth: -When your ancestors changed their diet, we expelled them from Worth. Mary, do you have children? Toth: -That is great. I love spit-roast baby. Crispy on the outside, tender flesh inside, absolutely delicious. Since it is a lot of work to get that crispy crust, we eat it only on Doomsday. Toth: -We celebrate Doomsday every 5779 planet Earth years. According to our calendar, that will be three days after we get back from this humanitarian mission. Families then get together to eat spit-roast baby. It is a tradition. Mary: -It is a terrible tradition. Toth: -I thought Earth dwellers don’t question traditions. Jacob: -Why don’t you eat cows, pigs and chickens like we do. We have a lot of them. We can sell some to you if you want. Then you don’t have to eat us. Jacob: -Have you been talking to a vegetarian? Toth: -We all eat Earth dwellers, but only those who eat other Earth creatures. We are fair: we treat a creature the way it treats other creatures! Toth: -Since Jesus isn’t, my family will have spit-roast Jesus this Doomsday. Our humanitarian mission is to restore harmony on Earth by eating all Earth dwellers who eat other Earth creatures. When Sophie has babies of her own, they won’t think of eating other Earth creatures, because there won’t be any Earth dwellers left who do so. Jacob: -I hope you don’t eat Earth dwellers who are religious? My wife is a Christian and I was raised a Christian. Toth: -Jacob, what matters is not what you were in the past, but what you are today. Toth: -Mary is not a Christian. She only thinks she is a Christian. Mary: -But I am. I go to church every Sunday. Toth: -Going to church doesn’t make you a Christian, Mary. A true Christian doesn’t eat other creatures. Jacob: -Nobody told us killing other creatures is forbidden. The priests did not explain that to us. Toth: -Do not blame the priests. You have a brain, don’t you? And you can read, can’t you? Toth: -Look, we are going to sacrifice you NOT because you eat other Earth creatures, but because you have NOT figured out that Do not kill! refers to all creatures. 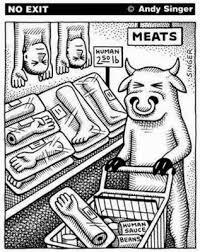 For us, creatures without a soul – creatures who have no empathy – are just meat. Mary: We are not just meat. We do have a soul. Toth: -People who continuously have to be told what is good and what is evil, because they can’t figure that out for themselves, are too much of a burden for the universe. Toth: -People who fall hurt themselves. It doesn’t matter whether they believe in the law of gravity or not. Mary: -Reincarnation is not in the Bible and the Bible is the word of God. Toth: -Mary, you understand as little of the Bible as you understand of Hansel and Gretel. How do you explain that God told Adam and Eve that they would die if they ate the forbidden fruit, and later they ate it, but they did not die? How do you explain that the snake, which you associate with the devil, seems to have told the truth by telling Eve that they would not die? Toth: -If Adam and Eve remembered their past lives, but forgot about them after eating the forbidden fruit, they died spiritually but not physically. As they were no longer aware that life continues after death – that they reincarnate – they began to fear the end of their present lives.